Carl Palmer leads tributes as faces from across the music world remember Emerson, Lake & Palmer great Greg Lake, who has died at the age of 69. 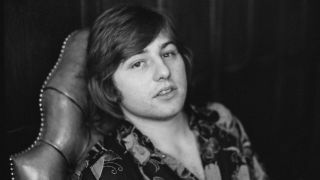 Carl Palmer has led the tributes to his former Emerson, Lake & Palmer bandmate Greg Lake, who has died at the age of 69. Now Emerson, Lake & Palmer drummer Palmer – the last surviving member of ELP following Lake’s passing and the tragic death earlier this year of Keith Emerson – has released a statement in memory of his friend and bandmate. Palmer says: “It is with great sadness that I must now say goodbye to my friend and fellow band-mate, Greg Lake. Greg’s soaring voice and skill as a musician will be remembered by all who knew his music and recordings he made with ELP and King Crimson. “I have fond memories of those great years we had in the 1970s and many memorable shows we performed together. Other artists form the world of prog and the wider rock and entertainment community have also paid tribute. Prog magazine editor Jerry Ewing points to Lake’s skills as a producer as well as his “rare” musical ability in his own tribute. Ewing says: “Greg Lake was one of those rare rock musicians who, like his fellow ELP compatriots, understood and enjoyed bombastic prodigiousness in music, but was also a sensitive songwriter who was equally aware of the value of a great pop song. “He was also a skilled producer, and let us not forget his ground-breaking work in King Crimson as well. Some of the tributes on social media have called for fans to buy Lake’s classic Christmas song I Believe In Father Christmas to get it to the top of the singles charts at Christmas. Many of the tributes made on social media can be read below.